Courtship starts with the male offering food to the female. 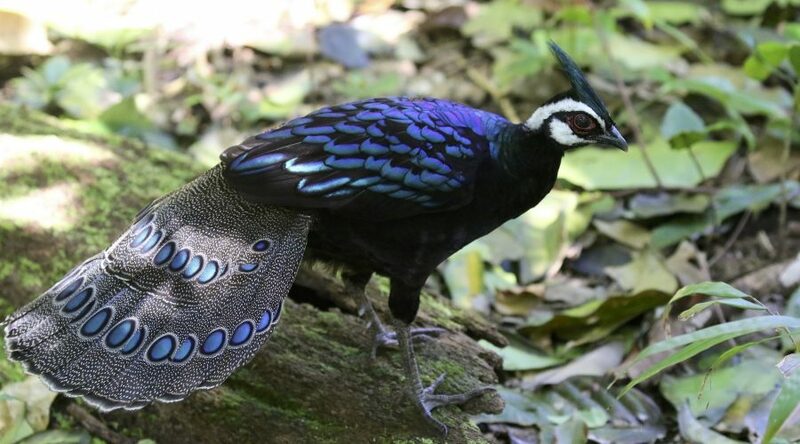 If she accepts, the male goes into a full display, fanning the peacock-like tail and compressing his wing to show off his brilliant colors. After mating, the female will lay 2 eggs the she incubates for 18-20 days. The young are able to find food for themselves within a few days of hatching, although the female protect them for several weeks.